What can you expect in Dublin? 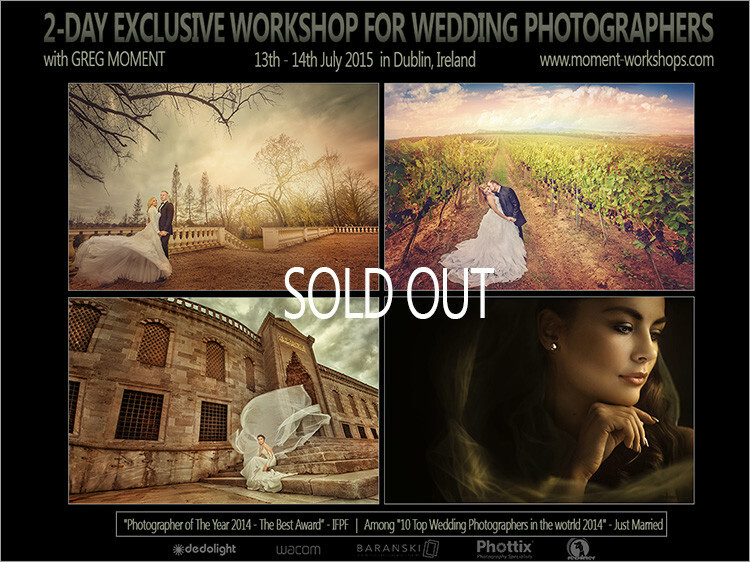 This time Greg Moment (www.moment.com.pl) provides two-day-long workshops for wedding photographers in Dublin. Second day – editing and retouching.Second day – editing and retouching. Regular fee: 600 EUR. Group 10-15 photographers. Early birds: 470 EUR!!! (paid before 31.05.2015.). (200 EUR deposit is required to reserve a seat).